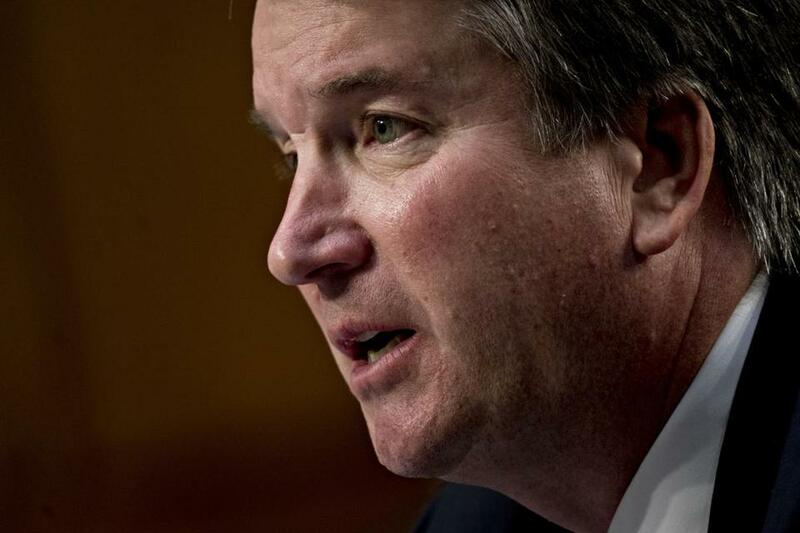 Judge Brett Kavanaugh’s partisan and openly disrespectful testimony before the Senate Judiciary Committee last week raised serious questions about his judicial temperament and fitness to serve as a judge. There are many reasons Judge Kavanaugh does not deserve a promotion to our highest court, but it’s his disregard for common-sense gun safety that hits closest to home for people who have lost loved ones, friends, or colleagues to gun violence. On April 12, 2018, Denise and Patrick’s son, K9 Sergeant Sean Gannon, was shot and murdered in the line of duty. Law-enforcement officers like Sean risk their lives each day and night to keep the public safe. Their work is made exponentially harder and more dangerous by the weapons of war that have flooded our communities. Republicans are on the cusp of confirming to the Supreme Court a nominee with a radical interpretation of the Second Amendment, a judge who has refused to acknowledge the difference between a handgun or hunting rifle safely stored in someone’s home and an assault weapon that can kill dozens of people in seconds. Instead, his judicial opinions indicate he believes the Second Amendment guarantees Americans the right to have access to AR-15 style rifles — the same kinds of guns used to commit mass murders in Parkland, Fla., and at Sandy Hook Elementary School in Newtown, Conn. In 2011, Judge Kavanaugh dissented from a decision to uphold a Washington, D.C., law banning assault weapons and establishing a registry of handguns. In that dissent, Judge Kavanaugh argued that it was not a judge’s responsibility to consider public safety when evaluating whether a gun law is constitutional. Notably, his dissent was contrary to the majority opinion written by two conservative judges appointed by Republican presidents. States have passed laws to expand background checks before someone can carry a weapon and laws to ban bump stocks, which enable rifles to rain down bullets even faster and produce the kind of terror we saw a year ago this week in Las Vegas. Judge Brett Kavanaugh’s Court of Appeals opinions show that he would vote to gut Roe v. Wade. Research shows that states with stricter gun laws not only have fewer gun-related fatalities, but also fewer fatal police shootings. Police chiefs across the country are calling for enhanced gun-safety measures to be a national standard. Powerful opponents of common-sense gun reforms will challenge each and every one of those state gun-safety laws in the courts. For cases that make it to the Supreme Court, nine justices will make the final call as to whether such laws stick. Experts have warned that, if given the opportunity to serve on the Supreme Court, Judge Kavanaugh would undermine progress toward greater gun safety in states across this country by voting to overturn these laws. 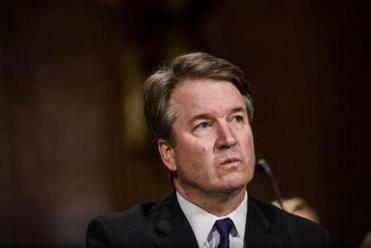 UCLA law professor Adam Winkler says Judge Kavanaugh “thinks there is little room for constitutionally permissible gun control.” Trevor Burrus, a research fellow at the libertarian Cato Institute, has said it is likely Judge Kavanaugh would join Justices Clarence Thomas and Neil Gorsuch to strike down regulations like 10-day waiting periods before gun licenses are issued. It is no wonder special interests have spent money on advertising that pushes for Judge Kavanaugh’s appointment to the Supreme Court. But every American who cares about keeping our communities safe from gun violence should be concerned by Judge Kavanaugh’s record on gun safety. We want to honor Sean’s memory and the memories of countless individuals who have been killed or permanently harmed by gun violence by fighting for meaningful steps and safeguards to stop the scourge of gun violence plaguing our communities. That is one good reason, among many, that the Senate must reject Judge Kavanaugh’s nomination. Denise Morency Gannon and Patrick Gannon are the parents of slain Yarmouth police officer Sean Gannon. Elizabeth Warren is a US senator from Massachusetts.